When it comes to digital marketing, attribution is a major priority across industries. And in an automotive space overcrowded with digital tools, it’s more important than ever for dealerships to determine where their marketing spend is actually working: which traffic sources are the most valuable, which lead sources are performing best, and which touch points ultimately make the sale. Actually understanding how much impact a tool is having—as well as its ROI—can be challenging, however. For one thing, it’s nearly impossible to determine which one moment sealed the deal. In addition to digital interactions, print ads, word of mouth, and reputation can all play a role in a sale. For another, customers can convert multiple times, making it hard to say which conversion was most important. Bottom line: There are so many factors that go into a sale that trying to credit one touch point can be extremely difficult. Multi-touch attribution begins to address this challenge—it takes into account the different steps customers took before buying, allowing for a more accurate evaluation of marketing efforts. A number of companies—both outside of the auto industry, like Google and Bizible, as well as inside, like Clarivoy—have developed products to help companies analyze their data. They attempt to solve the issue by tracking and combining data from different marketing channels, and produce analytics reports to track the ROI of each one. The core concept behind multi-touch is understanding the process of a customer’s journey down the buying funnel: what different steps were taken, and why. This mindset should be applied to areas well beyond data analytics to help us consider how to reach shoppers better. Because the buying journey comprises many different touch points and interactions, more and more of which are happening online, dealerships have increasing opportunities to engage customers digitally throughout the buying journey, and proactively lead them down the funnel. Capitalizing on multiple interactions, and creating opportunities for more, encourages better digital connections with customers, which in turn leads to higher-quality leads and more sales. Here are some ways to use the challenges of lead attribution to improve both your data analysis and your dealership’s customer experience online. Which conversion opportunities seem to engage customers at different parts of the funnel? Do your customers typically use more than one tool on the path to conversion? Do certain tools seem to assist other tools? Looking at your data as a whole can give a much richer sense of how a sale is made, as opposed to simply trying to credit one source. Seeing how all the moving parts of your strategy work together to move customers down the buying funnel both illuminates the customer journey and helps you evaluate ROI with more accuracy. It is past time for us to realize that customers who convert multiple times are ultra-valuable. 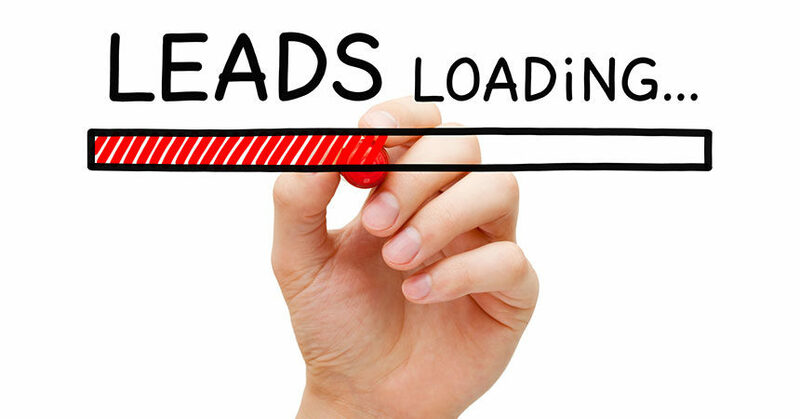 Too often, duplicate leads are marked as bad, deleted from CRMs, and passed over for follow-up. This is a mistake: Any customer who has converted more than once—even more than twice—has demonstrated extremely strong interest in the dealership, and should be prioritized. In fact, if you look closely at your CRM data, you’ll notice that when customers convert multiple times, later conversions are often more valuable than earlier ones: they are more specific, more focused, and further down the buying funnel. For example, a shopper still browsing might convert first on a storewide sale offer, then later fill out a trade-in tool as they begin to think seriously about moving forward with a purchase. Both of these are important pieces of data—and identifying multiple conversions can highlight strong, qualified leads that require fast follow-up. Taking this idea a step further, it’s actually a great idea to encourage multiple conversions on your website. With today’s shoppers doing so much automotive research online, and with their clear preference for a better dealership experience, it makes sense to allow them to complete more steps of the buying process online—and to then use this data to smooth their in-store process. This means automating any part of the shopping process that you can, including setting appointments, valuing customers’ trade-ins, and booking service right from your website. Artificial intelligence tools can make this process even more seamless by offering follow-up interactions on the spot. For instance, customers who convert on a vehicle should be prompted to book their test drive or to start their trade valuation immediately. If customers are actually encouraged to convert multiple times on your site, the data in your CRM is richer, your follow-up is more valuable, and—most importantly—shoppers are further down the buying funnel when they come into your dealership. This discussion about lead attribution highlights the fact that many touch points are involved in a customer’s journey. By analyzing multiple lead sources and their relationships, then encouraging even more digital interactions, your dealership will be able to identify high-performing opportunities for converting leads and increasing sales. Miriam Slonimczyk is the head of customer success at AutoLeadStar. With years of experience in client services and account management, Miriam is passionate about using tools to cultivate and nurture strong relationships with customers. Feel free to get in touch with Miriam at miriam@autoleadstar.com.